There appears to be two main schools of opinions developing about Ridley Scott’s new film PROMETHEUS. One school, of which I am a pupil, believes that the story is all important and that this element becomes confused and nonsensical in the second-half, rendering the movie pointless. The other school of thought is director Ridley Scott hath delivered unto us a feast for the eye that is truly exciting and worth plunking down 25 Australian quid to see. Fanboys and Fangirls have been waiting with great anticipation for Scott’s first science fiction film for thirty years. He redefined the genre first with ALIEN (1979) and then with BLADE RUNNER (1982). So perhaps expectations for PROMETHEUS were a little high. Those of us who are fans of ALIEN should have sensed the warning in Mr Scott’s statement that the new movie would not be a prequel but “share the same DNA” as ALIEN. This, it turns out is mere spin. It’s a prequel. The surprising thing for those of us who have heard rumours of how little Mr Scott cares for the James Cameron sequel ALIENS, is how much PROMETHEUS also appears to share genetic material with that film. I did find PROMETHEUS ravishing to the eye. There is a certain pleasure in seeing images handled with this kind of mastery. Scott utterly understands light and texture and is constantly making us see surfaces and into the shadows in a way that brings you into the world far more so than the gimmickry of the movie’s stereoscopic presentation. So, I was hooked for about 40 minutes. Even though very little happened, I remained hopeful. From the moment the brains trust from Weyland Corporation arrive on the rock they hope to find inhabited by the “Engineers” of the human race, nothing they do makes sense. Humanity’s best and brightest react to their new environment with the cool intelligence of teens arriving at Camp Crystal Lake. Sure, in the future we could send a team of posturing dickheads to blunder around the site of the only extraterrestrial life we have ever encountered, but seriously, the folks from television’s Time Team would have done a better job than these movie stereotypes. If you enjoy movement and screaming for its own sake, then there’s plenty of action here. The original ALIEN was THE OLD DARK HOUSE meets JAWS. We suspended our disbelief while the crew of the Nostromo were picked off one by one. I couldn’t understand the motivations or actions of the crew of the Prometheus, so I wasn’t invested in their fate. Jon Spaights and Damon Lindelof have written a nonsensical screenplay. Lindelof is known for his work on COWBOYS AND ALIENS and television’s LOST among other things. The writers were charged with the task of bringing in the Erich Von Däniken style “gods” into the narrative and for mine, have failed utterly in this. The best performances are from Michael Fassbender as an android and from Noomi Rapace as scientist Elizabeth Shaw. Charlize Theron and Idris Elba were given almost nothing to do. If you don’t think about the story, there is some chance you might be entertained by this movie. 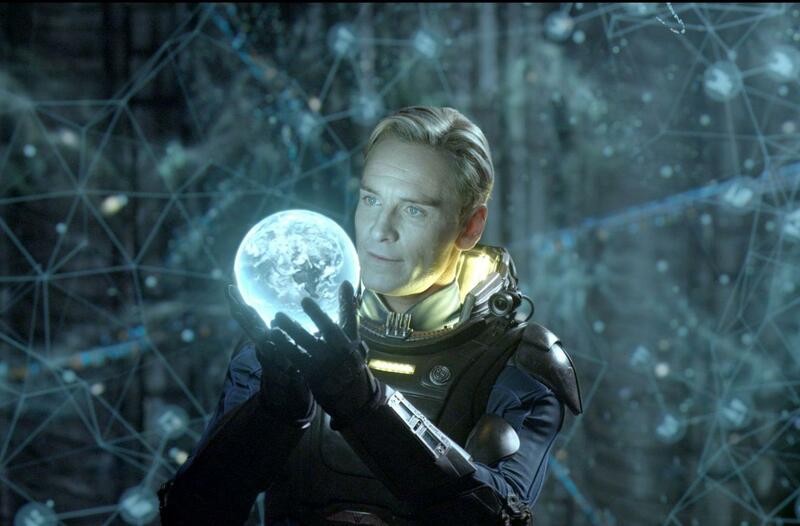 PROMETHEUS is currently screening in Australia. (June 10, 2012).